U.S. equities are extending their bounce higher on Wednesday, moving back over major technical resistance levels as the S&P 500 pushes up and over the 2,800 level it has been toying with since late February and has proved intractable since October. If the bulls can hold above this level, a push to prior highs could be in the cards — putting a nice end to the impressive rally out of the late December low. 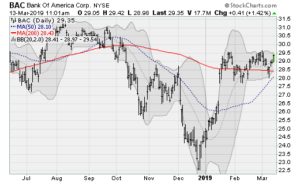 While Boeing (NYSE:BA) continues to dominate much of the attention of the markets, with much of the world grounding its 737 MAX jetliner after two crashes within five months of each other, the familiar catalysts of steady corporate buybacks and central bank dovishness are powering the buying. 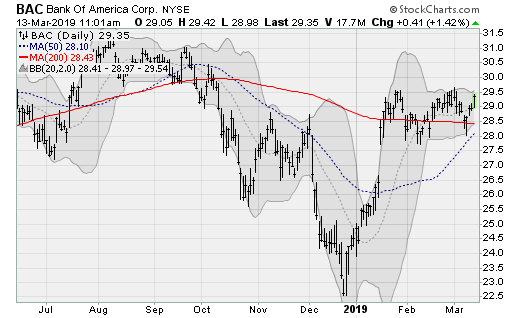 Click to Enlarge If the major averages are going to keep blitzing higher, Bank of America (NYSE:BAC) shares should see a move up and over three-month channel resistance after a long consolidation above its 200-day moving average. Management announced on Feb. 7 that it was increasing its share buyback program by an additional $2.5 billion. 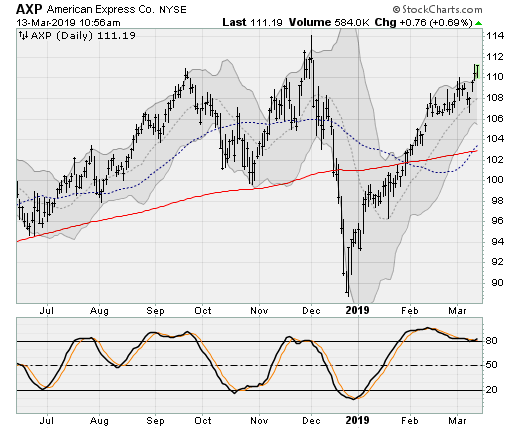 The large-cap stock should next report results on April 16 before the bell. Analysts are looking for earnings of 68 cents per share on revenues of $23.6 billion. When the company last reported on Jan. 16, earnings of 70 cents per share beat estimates by seven cents on a 10.7% rise in revenues. Click to Enlarge Shares of American Express (NYSE:AXP), which have rallied more than 25% off of the lows seen in late December, are now making a run at the high set in early December. A rally extension would mark a break of triple-top resistance and push to new records. Shares were recently upgraded to “overweight” by analysts at Atlantic Equities. The large-cap stock should next report results on April 17 after the close. Analysts are looking for earnings of $1.99 per share on revenues of $10.5 billion. When the company last reported on Jan. 17, earnings of $1.74 per share missed estimates by six cents on a 7.9% rise in revenues. 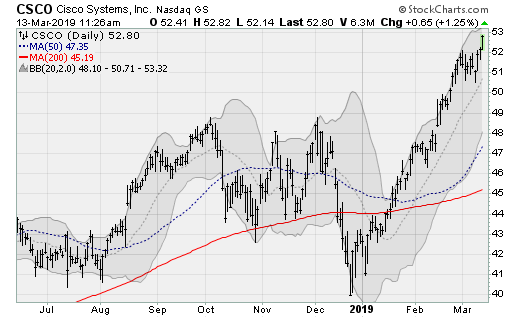 Click to Enlarge Shares of Cisco Systems (NASDAQ:CSCO) are extending their unbroken rally out of the December lows, a run that is already worth more than 25%. The rally takes the stock up and out of a year-long consolidation range that plagued the bulls throughout 2018. 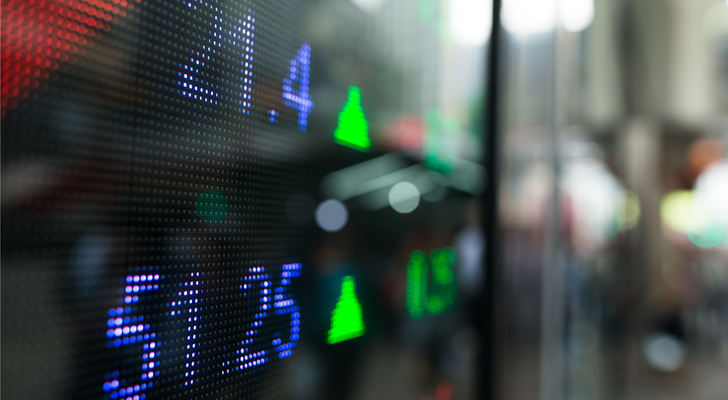 Management recently guided revenue above consensus estimates, increased its dividend by 6%, and approved a $15 billion increase to its share buyback program. The large-cap stock should next report results on May 15 after the close. Analysts are looking for earnings of 77 cents per share on revenues of $12.9 billion. When the company last reported on Feb. 13, earnings of 73 cents per share beat estimates by a penny on a 4.7% rise in revenues. Click to Enlarge Intel (NASDAQ:INTC) shares are recovering from a quick test of its 20-day moving average, setting up a run to its prior high of $57-a-share set in the first half of 2018. 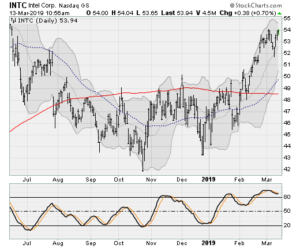 Semiconductor stocks in general have been hot so far this year, amid hopes of a global manufacturing turnaround and reports of a shortage in processors — something that is reportedly set to get worse in the second quarter according to Digitimes. The company should next report results on April 25 after the close. Analysts are looking for earnings of 87 cents per share on revenues of $16 billion. When the company last reported on Jan. 24, earnings of $1.28 beat estimates by six cents on a 9.4% rise in revenues. Click to Enlarge Microsoft (NASDAQ:MSFT) shares are on the verge of a new record high, rebounding more than 22% off of their December low to challenge the high set back in October. 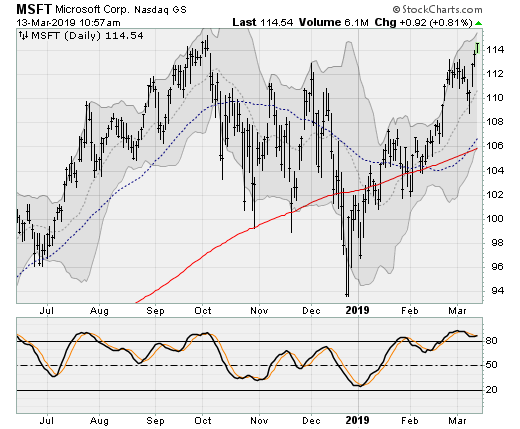 The multi-month pullback was the first significant bout of weakness for the tech giant since the spring of 2016. So bulls have been aggressively buying this dip amid the company’s ongoing success in the cloud. The large-cap stock should next report results on April 25 after the close. Analysts are looking for earnings of $1 per share on revenues of $29.9 billion. When the company last reported on Jan. 30, earnings of $1.10 beat estimates by a penny on a 12.3% rise in revenues. Article printed from InvestorPlace Media, https://investorplace.com/2019/03/5-large-cap-stocks-pushing-higher-sgim/.